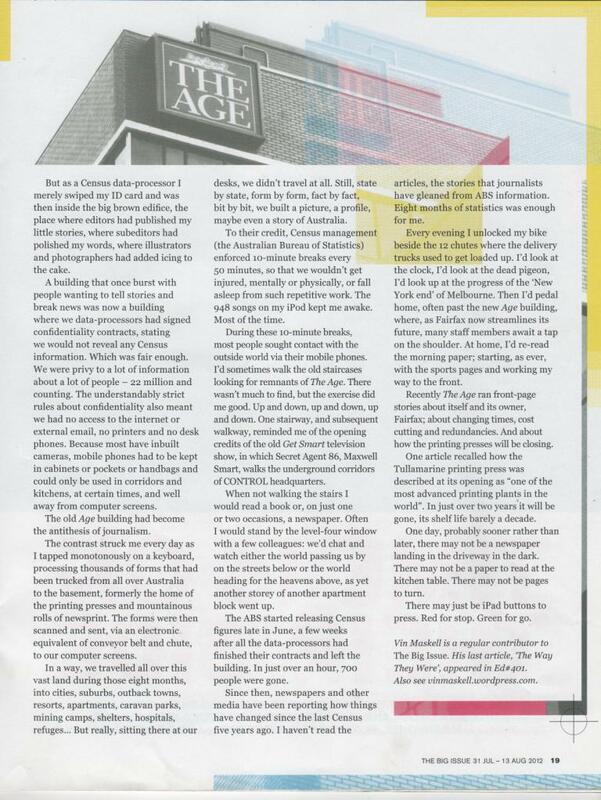 The Big Issue has just published Stop the presses, a story about working in the old Age building as a Census data-processor. Meanwhile, the Fairfax empire was crumbling, or re-creating itself. Near my data-processing desk was a fading imprint in the carpet of ICPOTA (an acronym for ‘In The Classified Pages of The Age’), an old Age advertising character dating back to long-gone years when those classified pages – the so called ‘rivers of gold’ – advertised cars and jobs and houses, and also paid the bills of reporters and editors and printers and everyone else. 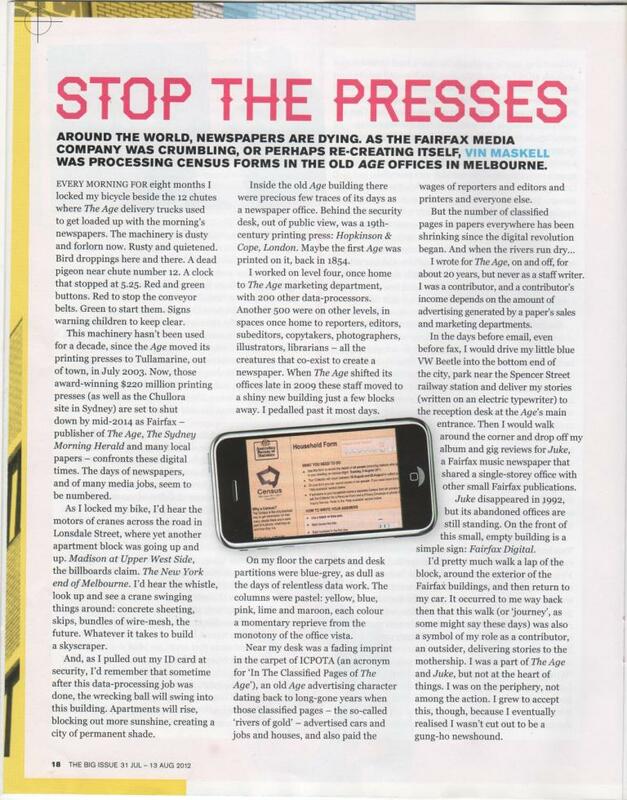 Stop the presses is in edition 412 of The Big Issue (31 July to 13 August 2012). The Dalai Lama is on the red cover.